Our game will launch with six classes, and though each class has single attribute, or set of attributes it prefers, no class in constrained to any one specific set of skills or to a specific playstyle. You can make a Witch (our pure intelligence class) who wears heavy plate armor, and fights with a bow. You can make a Marauder(our pure strength class) who casts summons, and uses wands to fight. You are an Exile, struggling to survive on the dark continent of Wraeclast, as you fight to earn power that will allow you to exact your revenge against those who wronged you. Our passive tree allows for nearly infinite builds, and because skills in our game are itemized and interchangeable, you really can never run out of choices. 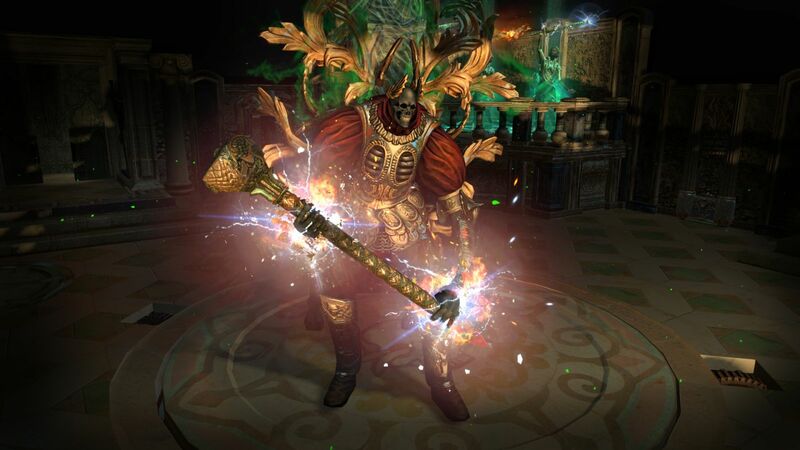 It's clear that Grinding Gear Games are passionate about their game and The Awakening will change Path of Exile for the better. Path of Exile is free to play. It doesn't take an expert to figure this means the game supports itself, or will support itself, from microtransactions. For the game, the graphics aren't the fanciest compared to Diablo 3. The environment is still very well crafted though. Path of Exile has a rather unusual substitute for a monetary system that I quite like. I'm used to buy POE xbox currency and PoE Exalted orbs from U4GM.